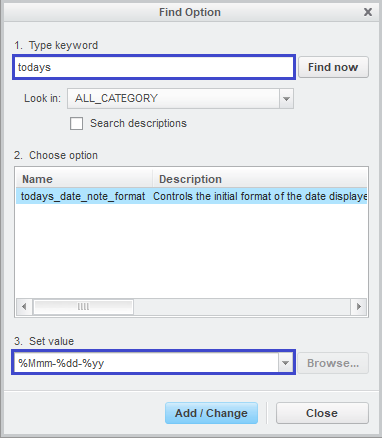 Have you wondered how to give a current date on the drawing template automatically in creo? While creating a standard Drawing template format you might want to pull the date automatically in the title block or som whare. Is this possible? Yes! Today’s Date In Creo Drawing is possible with system parameter. Usually, we will found a date on every engineering drawing. This DATE can be system driven. To address the date on the drawing in Creo or ProE all we need is a system parameter. Creo has some system parameters like to address mass, part name, common name, material name and as well as the current date. so that we don’t need to create user-defined parameters for these properties in parameter table under the Tools tab. This is the system parameter to address the Current date on the drawing. ***Note: Keep the letters lower case while addressing the system parameters. or otherwise it won’t work. If you don’t trust me then, give it a try with the upper case letters it won’t work. Need to Formatting the today’s date in Creo drawing? To format the DATE you need to go to options from the file menu.